Last week we asked for help to find a location for a short clip we were looking to shoot in response to the #tampontax. Thanks to everyone who got involved! As a way of saying thank you, the #Emilymatters team promised to give away one of our beautiful #Emilymatters Christmas cards, designed and made in Yorkshire by the brilliant Clavis & Claustra. I’m very happy to announce that the winner is Alice Dermody-Palmer! Alice has been a an #Emilymatters supporter for a while and is a member of #EmCrew. She is also an Ambassador for Model Westminster. You can still buy an #Emilymatters Christmas card via Clavis & Claustra. And if you email us to join the #Emilymatters mailing list, as a thank you you will receive an #Emilymatters Christmas ecard as soon as its available a little later this month. 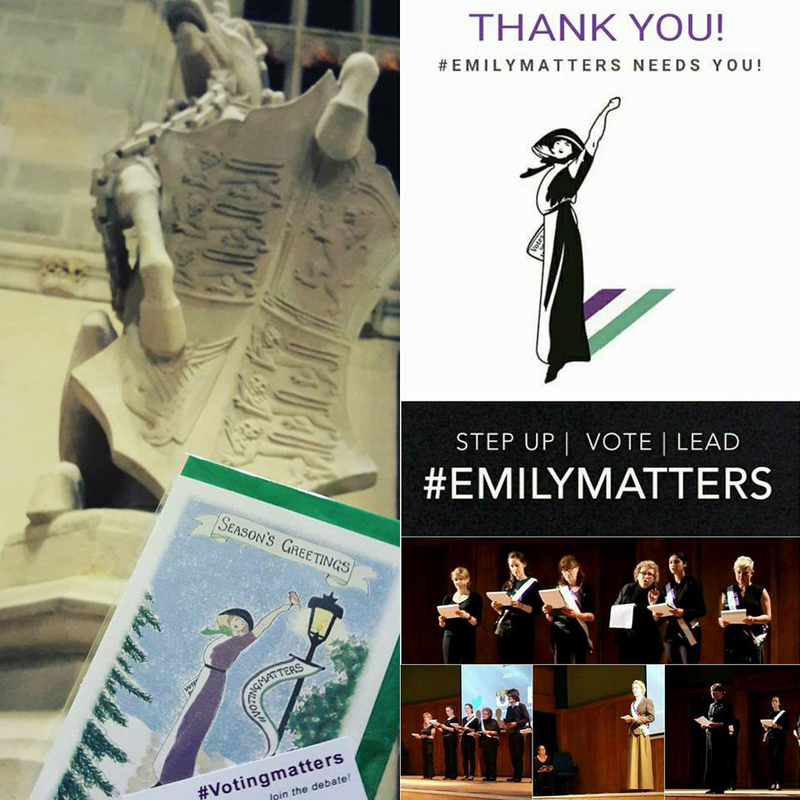 In addition to the above – we’d also highly recommend that you get involved with Clavis & Claustra’s Facebook and Twitter competition to win a £25 gift box of suffragette goodies, including an #Emilymatters Christmas card! Do let us know if you enter the competition and if you buy any #Emilymatters Christmas cards and we’ll give you a big thank you on Twitter. The team is working on a range of exciting new projects for 2016 and beyond. 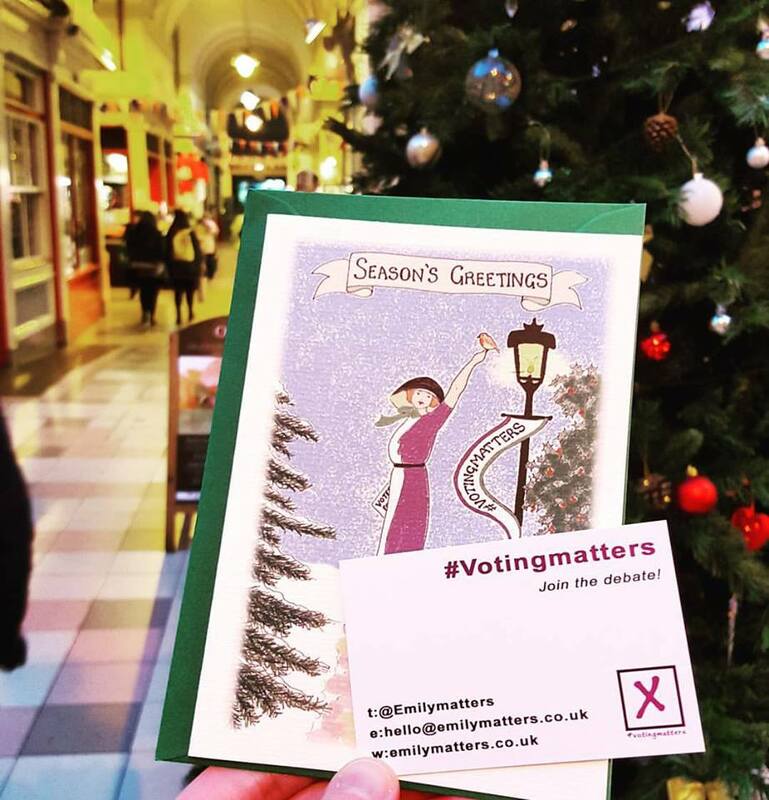 Email us to join our mailing list and you’ll receive an #Emilymatters Christmas ecard as a thank you. 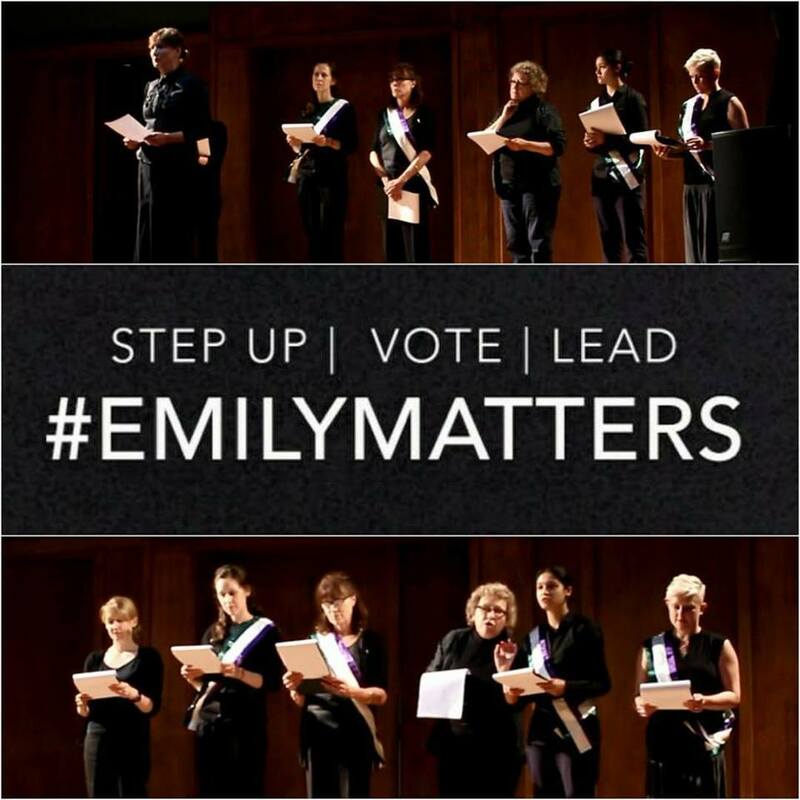 « #Emilymatters – Thank you!